During the long, cold wintry months of January and February our members B & B's tend to be a bit quieter, however we are not just sitting back and relaxing. We are very busy getting ready for the arrival of guests in the springtime, especially in the kitchen, as this is also the season when Seville Oranges are readily available in our supermarkets and grocer shops. 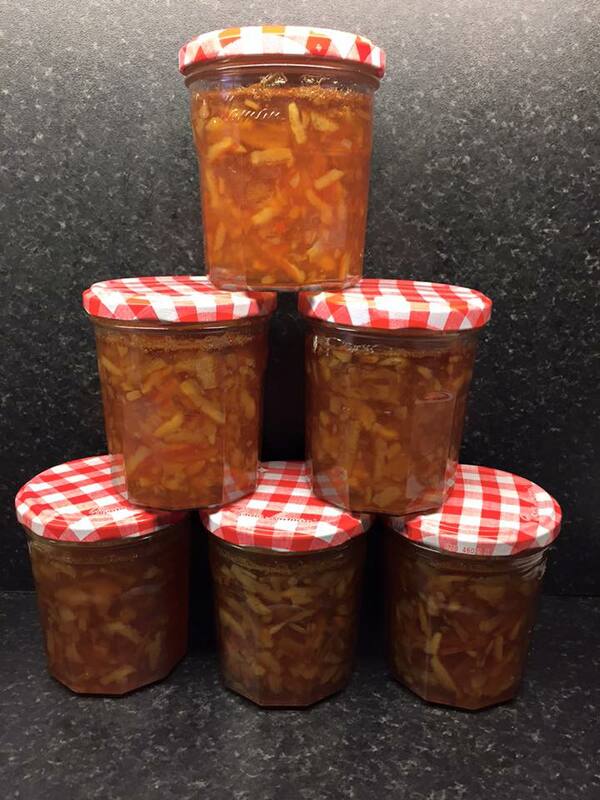 We will be busy making the seasons supply of Dundee Seville Orange Marmalade for our guests to enjoy at breakfast. Oooooh that wonderful aroma of the oranges boiling away filling the kitchen! Lots of our B&B have all been busy making their marmalade in recent days. Oh my Scotland is smelling so good! 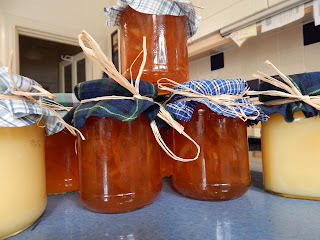 Now we all may use the traditional Dundee Seville recipe but they will differ as we all have our own little tweeks and secrets to make our own extra special. Lynne at Auld Post Office was chatting with Patsy from Sharvedda about never having made her own marmalade when Patsy offered to team up with her to teach her how to make it. 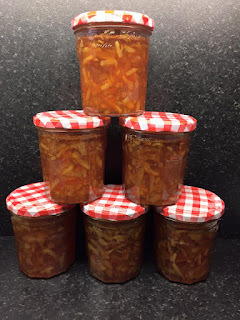 So Lynne, armed with a shiny new preserve pan, jars, some oranges, sugar and dare I say Gung -Ho spirit set off to Sharvedda to learn the art of slicing, squeezing, boiling, stirring and bottling – skills all needed to produce the perfect marmalade. The batch was perfect – too long boiling makes it dark, too short makes it runny. Lynne prepared her oranges whilst watching the North Atlantic waves crashing onto the rocks at Strathy Point – that must have been awesome and very relaxing. 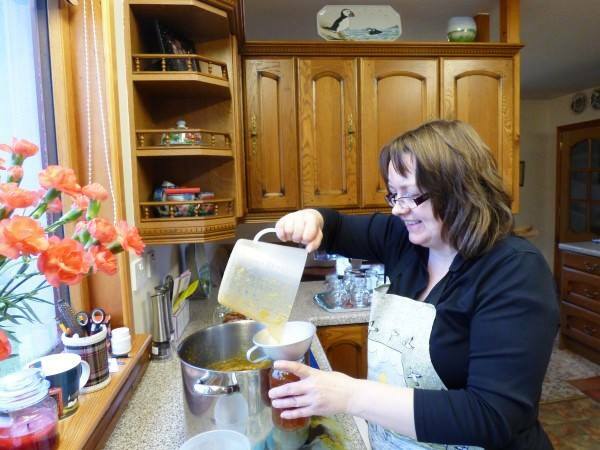 Lynne was so inspired she made two batches back home the next day – the traditional Dundee Seville recipe and with her own twist of added ginger – sounds worth trying next time. Lynne finished potting up the batch after midnight so has called it Moonlight Delight. 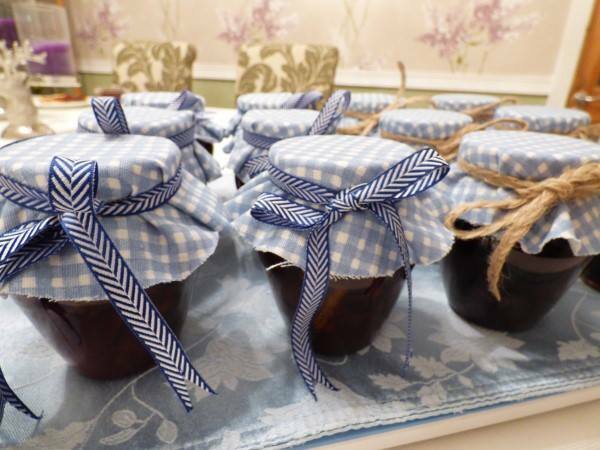 In another B&B our hostess loves to do things with style – big, chunky and dark - marmalade. How does she do this? 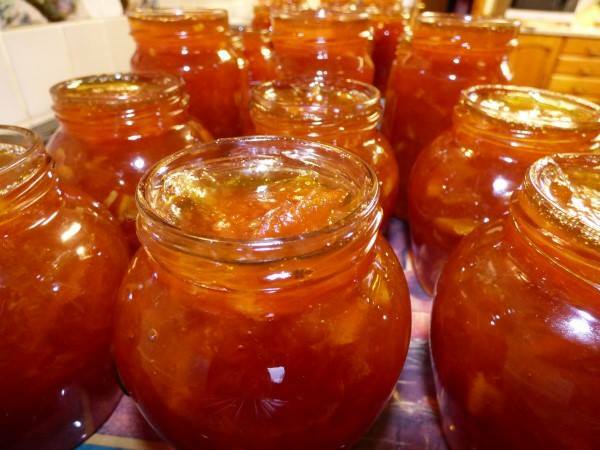 The secret ingredient is her favourite Liqueur Whisky tipple added to the marmalade – mouthwatering! Meanwhile not so far away Carol at the Dulaig likes her marmalade in the Pink which she makes by using Pink Grapefruit which gives it a fantastic tangy flavour and beautiful pink colour. Now over to Mandy, like Lynne, had never made her own marmalade before. However for her first attempt Mandy, who has always bought local, chose the traditional recipe which has been a great success as you can see - perfect results. For her next batch Mandy combined a mix of Seville and sweet Oranges, lemons, golden sugar, preserved ginger and a small dash of malt whisky – Wow sounds amazing. Having never made marmalade before Mandy enjoys it so much she is making another batch already. Over at Newton Farm, Louise, another first timer, was inspired by our wee video to give it a try. Louise had the help of her twin boys preparing the peel – a real family effort here. She was delighted with the result which has already been served for guests breakfasts, with guests giving the thumbs up and saying there was a definite taste of nectar here. Crossing back over the country to Janet at Glengarry B&B in Kingussie in the heart of the Highlands. Janet likes to go one step further and make a lovely Lime and Lemon Curd from the lemons she has used to prepare her marmalade.....delicious with scones and pancakes. We finish up at Auld Post Office, where Lynne has been busy making traditional Seville Marmalade and creating a short video 'tutorial'. 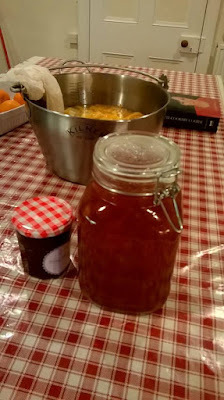 Marmalade making is not difficult and in many ways can be quite rewarding and you'll just love it. If you don't eat it all you can use the marmalade to make fantastic cakes, tarts and muffins. There are many different recipes out there but we recommend you give it a go and maybe invent your own! Cut a piece of muslin / old napkin / old cotton sheeting into a large square. Place this into a jug or bowl. Add all of the Water to the preserving pan. Cut the orange peel into very fine strips, (removing any excessive white pith and placing a small amount of it in the muslin) adding the peel to the pan. Tie up the muslin bag and place in the preserving pan bringing the pan to the boil. Simmer steadily for 2 hours, until the pan contents have reduced by half and the peel is very soft (test by squeezing between fingers and thumb - should go to a soft mush) - this important as the marmalade will crystallize when the sugar is added, if the peel is too hard. Remove the muslin bag and squeeze or sieve the contents too remove the pectin which is added back to the pan. Add all the sugar and stir in until well dissolved, bring the pan to the boil and boil steadily for about 20 minutes, remove from heat, then test for setting. 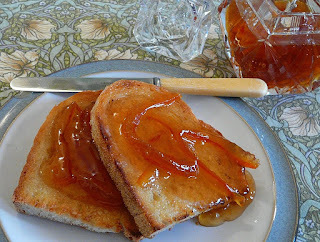 To test for setting - marmalade should drip off spoon in ribbon drops - Place a spoonful or two onto a very cold plate (cooled in fridge) and allow the mix to cool - run finger through the marmalade and it should leave a channel that does not fill back in. If not set return pan to the boil for another 5 minutes until the setting point is reached. Ladle or pour into warm sterilised jars, filling just to the shoulder of the jar - seal and store in a cool dark place. Place grapefruits in a pan of water and simmer gently for 2 hours to soften the fruit. Remove fruit from pan and discard the water. Allow the fruit to cool, then slice cooked grapefruits thinly, removing the pips. Put chopped grapefruit back in pan adding the sugar and allowing it to dissolve then add the lemon juice. Bring pan up to a fast boil for 15 minutes then test for the setting point. Add the apricots to the pan, half the oranges and squeeze out the juice adding it to the pan, reserving the pips in the muslin bag. Now slice the orange peel in to thin slices and add to the pan along with the 2 litres of water bringing to the boil. Simmer the pan for 1.5 to 2 hours until peel is soft and the content of the pan reduced by half. Remove the muslin bag from the pan, add the sugar, stirring it in to make sure it is dissolved then bring back to the boil for about 20 minutes until setting point is reached. Pour marmalade into sterilised warm jars and seal. A lovely Jammy Marm ! Thank you to all the wonderfully talented B&Bs who supplied recipes and pictures. Just click the links to see where you could be enjoying their marmalade this summer!